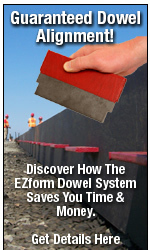 • Helps protect large colored and gray slabs as well as marble, hardwood, & terrazzo flooring. • High friction coefficient keeps blanket in place. • Helps prevent surface scratches, contaminants and potential impact hazards. • Disposable, biodegradable and landfill friendly. 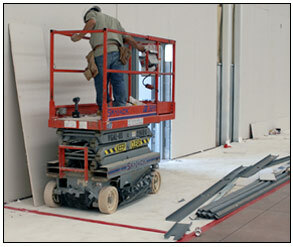 Tough protection for slabs and other flooring. EZcover™ Protective Covering is a natural colored cellulose product designed to help protect colored or gray slabs, or other flooring material during the construction process. The product is available in standard width 8’ rolls weighing approx. 100 lbs each with each roll covering approx. 400 square feet on application. The EZcover™ blanket helps protect against surface contamination, abrasions and other harmful occurrences that are possible on the job site. Aside from offering tough surface protection, EZcover™ is simple to install. The protective blanket is simply placed (or rolled out) to cover the desired area, and can be moved from one area to another with ease. The patent pending EZcover™ protective blanket features a soft bottom layer to help prevent surface scratches, while also allowing new slabs to continue to breathe and harden. 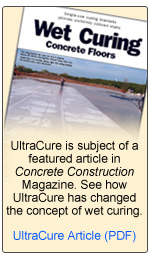 The harder top layer helps shield against contaminants and potential impact hazards.